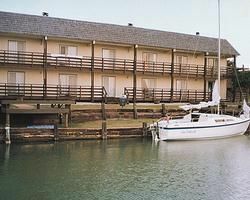 At The Lodge in Runaway Bay Resort, you'll great vacationing on the shores of Lake Bridgeport, just 50 miles from Fort Worth, Texas. Experience a vacation in the style of rural Texas at The Lodge in Runaway Bay. At the resort, you'll find two lighted tennis courts, an outdoor pool and hot tub, and a children's play area. An 18-hole golf course with a restaurant is within a mile. Situated on beautiful Lake Bridgeport , a 13,000 acre lake, this resort offers four covered boat slips and is well-stocked for fishing. 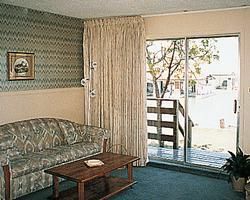 All units are air-conditioned, with TV and full kitchen with microwave. Enjoy a day at a Texas dude ranch or travel to Fort Worth, about 50 miles away, or Dallas, about 70 miles away. "Runaway" Bay is a great "getaway,” and visitors won't be disappointed. A drive into either of these great Texas cities can result in almost any activity imaginable, from sight-seeing to attending an opera. Check out the Dallas Zoo, an array of fabulous eateries including Sonny Bryan’s Smokehouse. In nearby Fort Worth, check out the Fort Worth Water Gardens, the Amon Carter Museum of American Art, one of several noteworthy art museums in Fort Worth, or the famous honky-tonk saloon, Billy Bob’s Texas. The American West seems to begin in Texas. Make yourself at home at The Lodge and then get out there and explore!